Sometimes we make design and decorating decisions that we end up regretting. Take the chocolate brown leather ottoman I purchased for my family room 5 years ago. First of all, I’m usually not a fan of leather because I find it cold in the winter and sticky in the summer. Secondly, the color seemed a bit dark for my style. However, I thought it would be durable and it was a bargain. Within a few months I wanted to send it back and it taught me valuable lessons- don’t let price be the deciding factor and go with initial instincts (originally I was looking at a square button-tufted ottoman in blue-green fabric and to this day I wish I had it!). Eventually I’ll sell my ottoman and replace it with something I love, but I have other projects on the go that take precedence. In contrast, one of the best purchases I made several years ago was an upholstered headboard (inspired by the PB Jameson) for our bedroom. I had it custom made by a mattress maker who charged me less than what it would’ve cost to make my own. The piping detail was something I didn’t think I could get right on my own and I wanted something solid that would last. It was one of those no-brainer purchases! If someone asked me if I’d do it again, my answer would definitely be “Yes!” The only thing I’m considering changing after 6 years is the fabric and that is as easy as making a slipcover (which will be part of another post). Upholstered headboards add softness and warmth to a room that you can’t get with wood. I like to read in bed, so it’s definitely the best option for me. I also love the fact that the options for shape, fabric, size and detailing are unlimited. The best part is they’re fairly easy to construct for the DIY-er and can be changed up down the road. If you’re considering an upholstered headboard for yourself, or if you already have one and want to change it up a bit, here are some options that I definitely think are good decorating decisions. 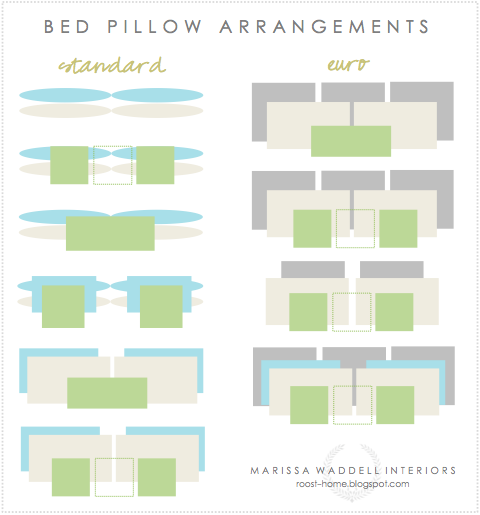 For more bedroom decorating ideas, check out these tips for styling a bed. Do you have any decorating decisions you regret making? What have you knocked out of the park? I’d love to hear about the good, the bad and the ugly! The main thing is that we’ve learned from it- hopefully! Thanks for visiting- I’m off to check out your blog! 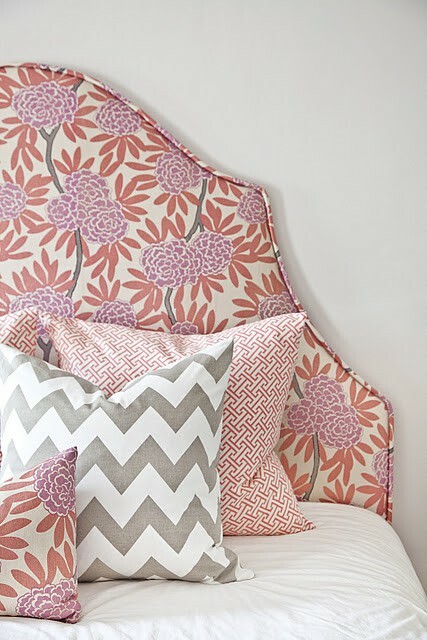 I love all the beautiful headboards you show here, especially that striped one- I just pinned it. I so agree with you about not making purchases based on price. So many times I’ve made that mistake, and then ended up with something that I’ve kept for maybe a few months (hating it the whole time) and then either given away (or thrown away!) or just shoved into a box and forgotten about. My favorite things in my home are the ones that I bought based purely on instinct, because I loved them. And now it’s not like I ever look at them and even remember what they cost because to me they are priceless. I am all about saving money when decorating, but sometimes only the original (not a diy’d version and not a cheapo version) will do. Great post! Love the rounded edge headboard via Adore Magagzine! We started Heady Bed a couple of years ago because we saw a need for more unique upholstered headboard options. Check us out if you have time! Where in Calgary did you get your headboard made? I would like to get an upholstered daybed made. Something like this…..http://calgary.kijiji.ca/c-buy-and-sell-furniture-dressers-wardrobes-ANTIQUE-BEDROOM-FURNITURE-SET-W0QQAdIdZ357388724. Hi Angela, I had our headboard made by Halstead (Deerfoot Meadows). That was 5 or 6 years ago so you’ll have to check and see if they’re still doing headboards and what their prices are like. Good luck! Thanks Shauna! If it is out of my price range than my Husband and I will be making a daybed out of old doors that I have stored at the farm. I was hoping to keep those to make a couple of head boards this summer though.